Have you seen these in your library? René's first published book. Back in 1985, he researched without internet, visiting archives, libraries and photo collections. The proofs were typed on an IBM Selectric typewriter. René promised his students their names would be printed 15,000 times in the acknowledgements section if they helped him proof-read his stories. The ruse worked! They began reading. The twenty-eight brief stories were easy to read and the book was so popular it was reprinted several times and eventually sold 57,000 copies, outselling all other Scholastic Canada titles for a time. It is no longer in print but may be found on used-book websites. Disaster! 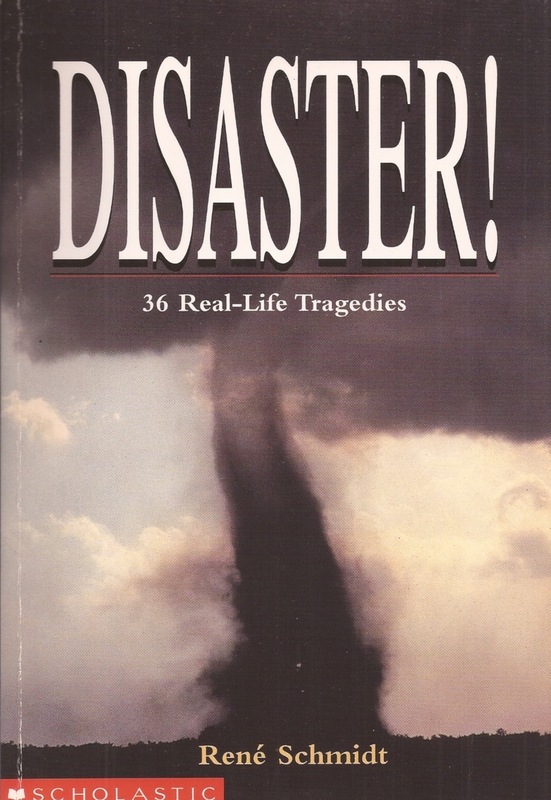 was first published in 1999 and contained 36 stories. 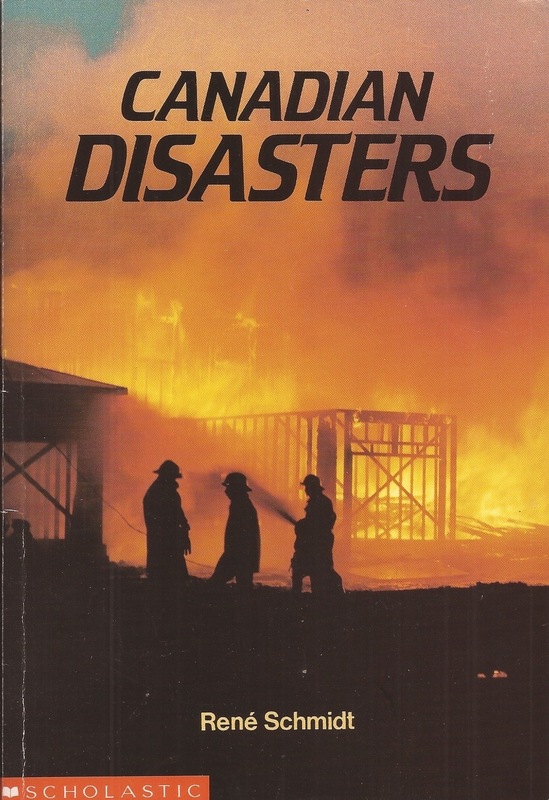 This edition had much better photographs and was organized into the categories of Canada's Worst Disaster, When The Earth Breaks, Nature's Fury, Disasters On The Move, Fire!, Canada's Own Titanic Stories and Recent Disasters. A new edition was published in 2000 with better information about the Swissair Flight 111 crash at Peggy's Cove. This edition sold 15,000 copies and is now out of print. Used copies may be found online. 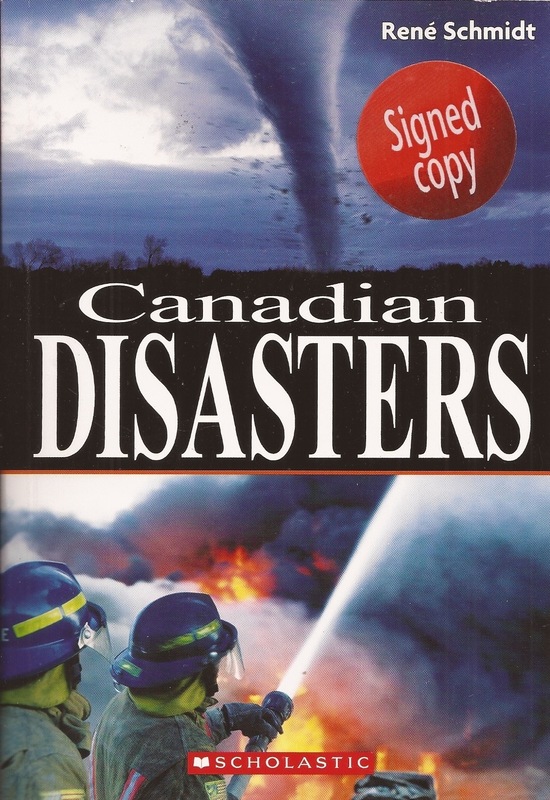 This third edition of Canadian Disasters came out in 2006 and included new disaster stories and the new category of Medical Disasters. René got help from a very keen group of students that year and, as always, acknowledged them in the book. This edition had an excellent cover and also sold 15,000 copies. Sorry it is out of print. There may be back issues available through Amazon or other larger bookstores online. For a complete list of Rene's books, ISBN numbers, etc. see Book in Print.